SAP HANA stands for SAP’s High-Performance Analytic Appliance (HANA); it enables the processing of massive quantities of data in the main memory of the server in real time. Why and Where to use SAP HANA? Engineering construction and operation and so on. SAP HANA database architecture consists of multiple servers, in which the most important component or server is the Index server. 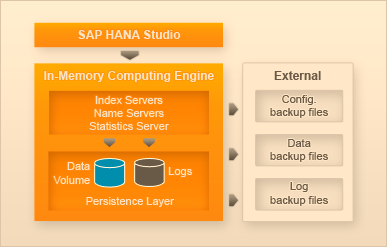 SAP HANA contains Name server, Index server, Statistics server, Pre-processor server and XS engine. XS Engine: Through this, client can connect SAP HANA database to search data via HTTP. It allows an external application to communicate with SAP HANA. Index Server: It is the main server that handles database and process the data. When MDX or SQL is fired against the SAP HANA system in case of the transaction, the index server handles it. Calc Engine: The SAP HANA database include features such as SQL script and planning operations are implemented using a common infrastructure called Calc engine. The MDX, SQL Script, Planning model and domain-specific models are converted into calculation models. The calculation engine breaks up a model, into operations that can be executed in parallel. Transaction Manager: In HANA database, each SQL statement is executed in the context of the transaction. Transaction manager co-ordinates database transactions and keeps track of running and closed transactions. 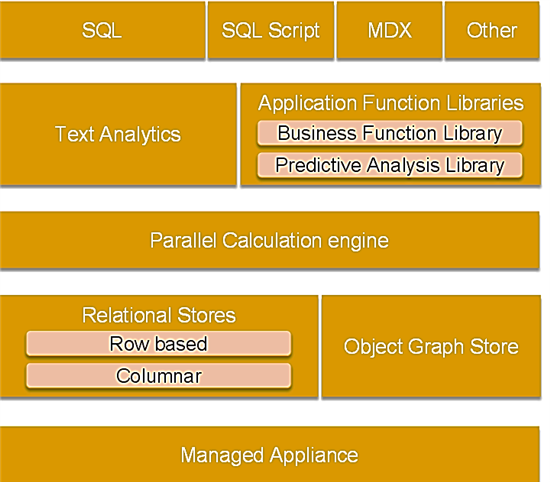 The Row Store: It is the SAP HANA database row-based in-memory relational data engine. Usually, it remains a question in SAP HANA about, how to store data in the table? SQL queries that involve aggregation functions consume a lot of time on huge amounts of data because every single row is touched to collect the data for the query response. This information in columnar table is physically aligned next to each other, apparently increasing the speed of certain data queries. In column arrangement, data is also compressed enabling shorter loading times. Column based table is usually recommended to store data as it allows fast aggregations, ad-hoc reporting and compression of data. While, Row-based table is useful when application needs to only process a single record or row at one time. In memory means, all data is stored straight away in the memory (RAM), there is no time wasted in loading the data from hard disk to RAM. Data is stored in the column as well as in row pattern; row is useful for Metadata while Column is useful for -10-20x Data Compression. SAP HANA studio is an Eclipse Open Integrated Development Environment (IDE), that integrates different tools in a unified environment for data modeling activities, data and life cycle management and security. SAP HANA STUDIO can be used to start services, stop services, monitor system, configure system settings, manager users and authorization, manage tables and manage stored procedures. Let see some of the important components of SAP HANA studio. Information Modeler: SAP HANA information Models consists of three views for the HANA Engine and calculation operators they are Attribute view (join text tables to each other) is used to connect information about product, employees, business partner etc. Analytic View (joins fact tables like star schema pattern) is used define facts for any product like number or computer sold in any country and Calculation View (performs complex calculations not possible with others) is used to do calculation like currency and unit conversion. Application Developer: It provides views and menu options that enable you to test your applications. For reporting and analysis of business data, it requires replication of the data from a source system to the SAP HANA database. In SAP HANA, data is replicated while transferring to the memory database. It can be done in two ways Application layer and Log file. Trigger-based replication: This method uses the SAP Landscape Transformation (SLT) component to pass data from the source system to the SAP in-memory database target system. It uses SAP business object data services to identify and load the relevant business data in defined periods of time from an ERP system into the SAP HANA database. Log-Based Replication or Sybase Replication: This replication is based on the capturing table that changes from low-level database log files. Database changes are propagated on a per database transaction basis, and they are then re-played on the SAP HANA database. This method is based on database dependent. The replication agent uses table meta-data from the database to connect or link the raw log information with the existing table names. SAP HANA offers different connectivity options such as BICS, MDX and SQL, etc. It runs JDBC and ODBC drivers which are standardized programming interfaces to access relational databases. Multidimensional expressions or MDX is an extensive query language for OLAP databases. Different front end can connect to HANA, and SAP suggest using frontends of the SAP business objects BI suite. SAP HANA cloud connectivity service is used to establish the technical connectivity for point to point integration or in combination with process integration solutions. SAP HANA cloud can be connected through Remote Service, On-premise Network and E-mail Provider. In SAP HANA, database is stored in the file system of the operating system. SAP HANA uses the secure store in the file system (SSFS) to store all internal SAP HANA encryption keys. These keys are encrypted with the SSFS master key. 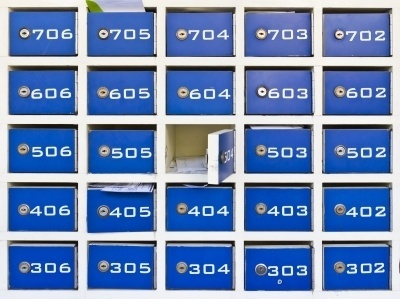 The encryption key always remains with customer and responsible for decrypting, uncompressing and loading data into their SAP HANA DB services. Secure Password: By the standard operating system mechanism file, system passwords are protected. All database user passwords are hashed with the secure hash algorithm SHA-256. Actions performed in SAP HANA can be audited.